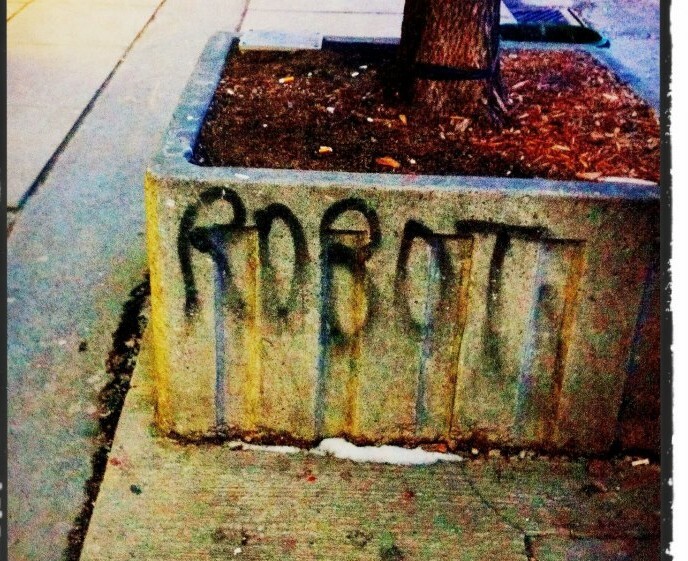 “Vast Robot Armies came to be after Jason Thomson, and his old band Sometimes Why, called it a day. For 13 years Sometimes Why featured Jason Thomson as the Lead Singer and Drummer. In early 2012 it became clear that the band had run it’s course. Being in a band is like being in a marriage. There’s a lot of give and take. Yes, there will be fights and disagreements, but there will also be a lot of good times. So when a musician is in a band for over a decade like Jason Thomson was and then that band ends, it can be incredibly difficult to move on or even continue making music. Jason Thomson not only moved on, he created an album of pure brilliance in Goodnight Myopia. His dedication to his music and message should not be overlooked. Goodnight Myopia is an amalgamation of genres, passions and emotions. A predominantly Rock sound laced with hints of Pop, I found myself thinking about Phil Collins as I listened to the album. The music itself didn’t really remind me of Phil Collins, rather, the vocals did. To best describe this album, think vocals of Phil Collins meets Everlong by Foo Fighters with a Spacey twist. A unique and emotionally charged album, Goodnight Myopia took me on a musical journey that few albums before it have. With gorgeous melodies, peaceful guitar riffs and dominating drum lines, Goodnight Myopia is a fantastic example of determination, passion and talent. Many of the songs on Goodnight Myopia create an atmosphere about them that surrounds and envelopes the listener. Ranging from soft to hard, fast to slow, Goodnight Myopia has everything you could want. While being self-labeled as Space Rock, after listening to the album, I can certainly understand it. Many of the songs have an almost whimsical, floating type feeling to them, such as “Bullish One Hitters”, for example. “Heads” has a synthesizer filled intro which also resonates throughout the song giving it a Spacey-type vibe. My favorite song off Goodnight Myopia was “Old Hat”. Beginning with a piercing guitar, the song quickly takes on a briskly paced, drum fueled verse and Rocky sound. I once again found myself in a nearly hypnotized state by the vocals. A powerful song that kept me on the edge of my seat, “Old Hat” abruptly transitions from the outro-chorus to a single piercing guitar which then slowly fades out to end the amazing song. Some other songs I really liked were “Grey Area Living” and “We Go Where We Know”, so be sure to check out those songs if you fancy good Rock music with catchy riffs and sharp drum beats. One of the things I liked most about Goodnight Myopia was the layering of music and the vocal harmony. Each song is a delicate compilation of intricate sounds and moods that will slowly take over your mind and hold it captive throughout the album’s entirety. If you’re looking for a Rock sound that is refreshingly unique and passionate with clever and thought-provoking lyrics, give a listen to Vast Robot Armies’ Goodnight Myopia. A brilliant mix of passion, emotion and musical prowess, you will be more than satisfied with what you hear. Be sure to check out the album below via Bandcamp and be sure to check out Vast Robot Armies’ links below. Share with your friends and as always, enjoy!